NK XI C 8, ff. 269r-270r. Codex written by Oldřich Kříž z Telče was composed in 1463-1477 and contains number of shorter texts. NK I G 11c, ff. 91v-131. This codex contains various texts by more authors, mostly in latin but a few also in Czech. The codex was written in the last quarter of 15. century. The part of Signa hereticorum was transcibed also by Oldřich Kříž z Telče. Brno MZA č. 211, ff. 46r-98v. 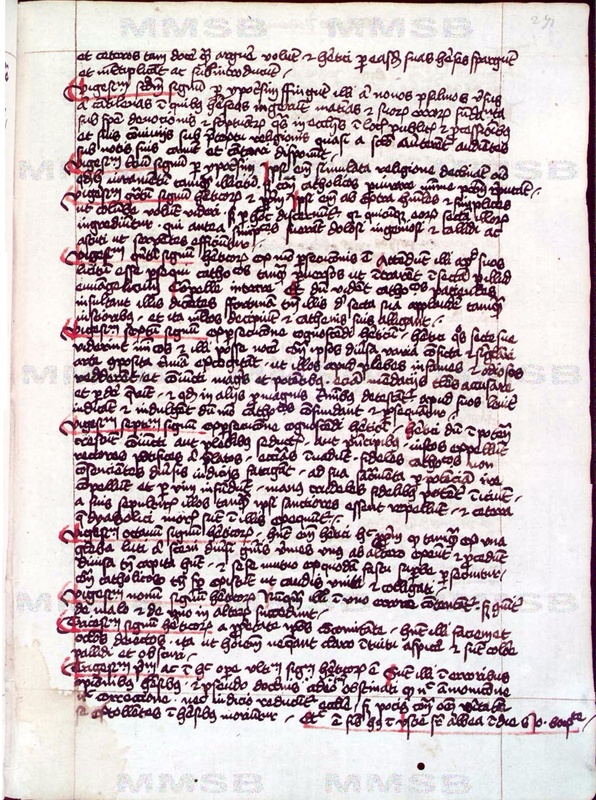 A codex of a dominican prior Petr Nosek z Klatov from 1452-1466. Wenceslaus was born in Kromluv in Bohemia. He studied canonical law in Padova from 1446 to 1449. After finishing his studies he came to Prague, where he became a canon of the Prague Chapter. In 1452 he was elected the dean of the chapter. He was on of the leading figures of the Czech catholics at that time and he stronly opposted the Utraquists. This can be also seen in his work De signies hereticorum which I present here. He died in 1460.